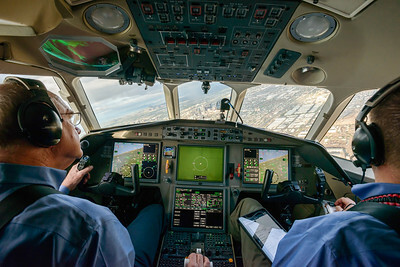 This Dassault Falcon 900 cockpit was photographed in flight over Phoenix, AZ. Business travelers deplaning Dassault Falcon 7x business jet parked on hangar ramp. Honeywell Flight Operations, Phoenix, AZ. GoDirect, HAPP, MPP. Pilot doing preflight check with tablet on Dassault Falcon 7x business jet. Jeff Bender. Honeywell Flight Operations, Phoenix, Arizona. GoDirect, HAPP, MPP. 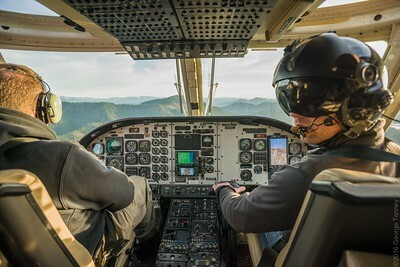 This Bell 412 helicopter cockpit was photographed in flight over Medford, OR. 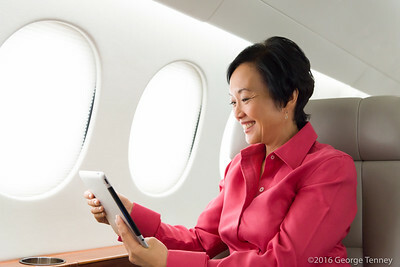 Business jet passenger using tablet in Dassault Falcon 7x cabin. Honeywell Flight Operations, Phoenix, AZ. GoDirect, HAPP, MPP. 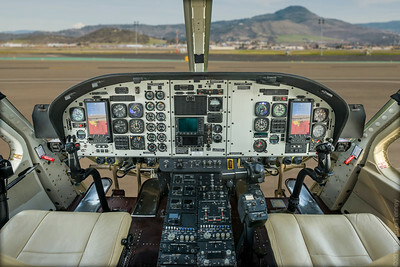 This Bell 412 helicopter cockpit was photographed on location in Medford, OR. 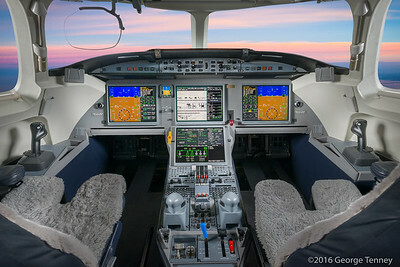 Dassault Falcon 7x business jet cockpit. Honeywell Flight Operations, Phoenix, Arizona. GoDirect, HAPP, MPP. 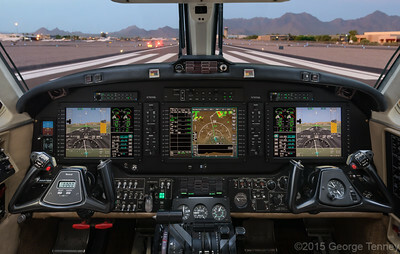 This Bendix King AeroVue retrofit cockpit was photographed on location in Scottsdale, AZ. 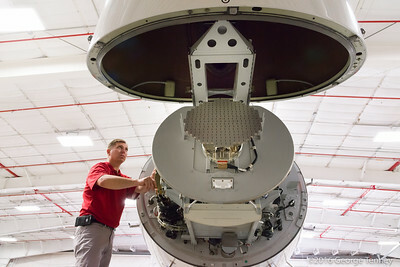 Maintenance Technician working with weather radar and avioncs line replacable units, LRUs. Dassault Falcon 7x business jet. Honeywell Flight Operations, Phoenix, Arizona. GoDirect, HAPP, MPP. Business jet passenger with headphones and smartphone in Dassault Falcon 7x cabin. 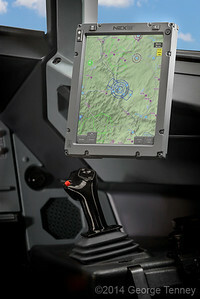 Honeywell Flight Operations, Phoenix, AZ. GoDirect, HAPP, MPP. 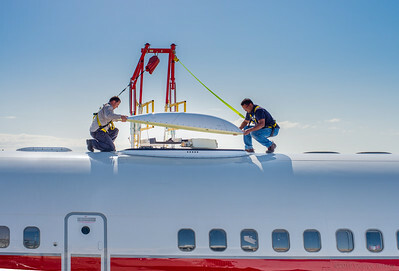 Technicians installing SATCOM Antenna on Boeing 757 aircraft cabin roof. Shot on location in Phoenix, Arizona. Honeywell Flight Test Boeing 757 parked on hangar ramp at sunrise. Honeywell Flight Operations, Phoenix, AZ.